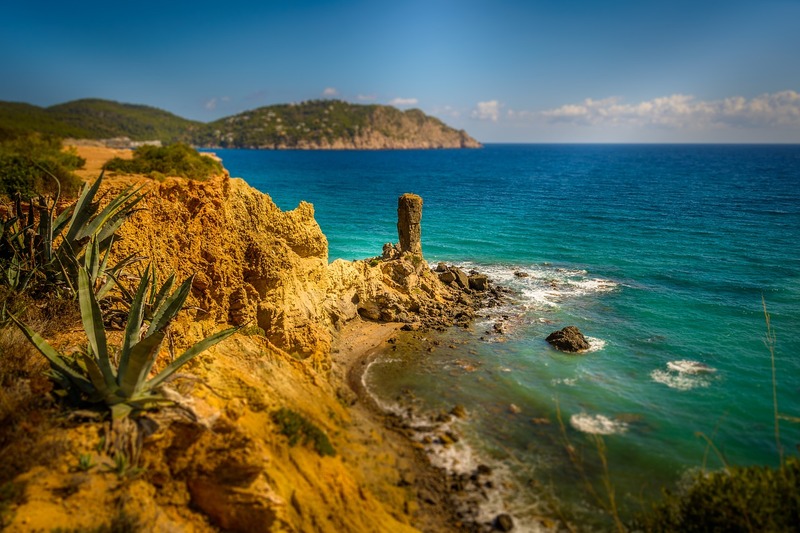 When people want to relax and enjoy a chill vacation far away from the speed of the city, they come to Ibiza. 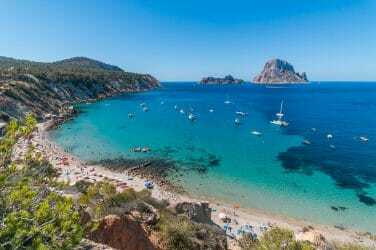 But, have you wondered what happens when Ibizan people long for the same? Imagine an island with no airport, no traffic lights, no shopping malls, no tall buildings, and no stress. 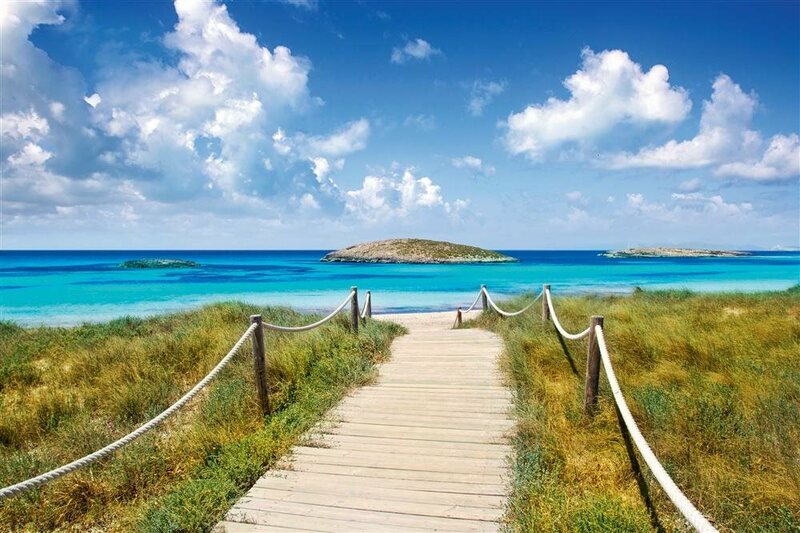 That’s Formentera. 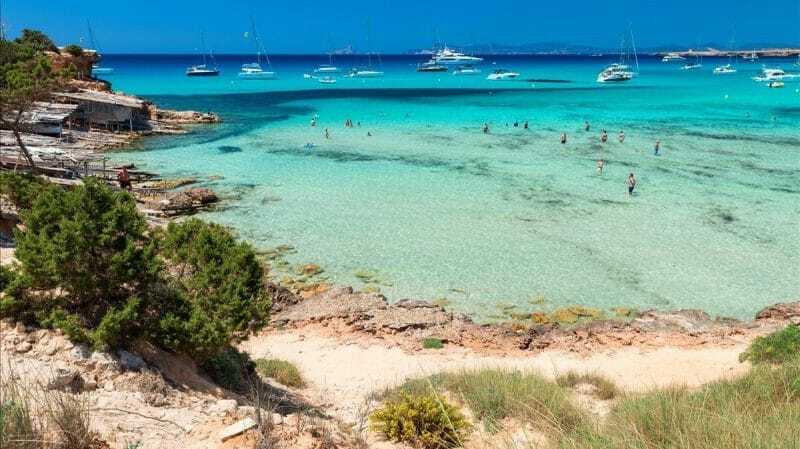 The little sister of Ibiza and smallest inhabited island in the Balearic Islands stands out for its stunning beaches, its unspoiled nature and its cool, laid-back vibes. 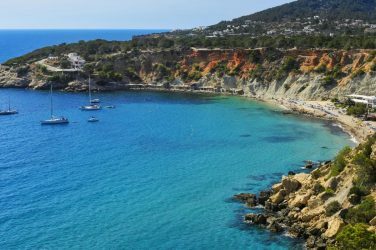 The distance between the ports of Ibiza and La Savina is only 19 km. 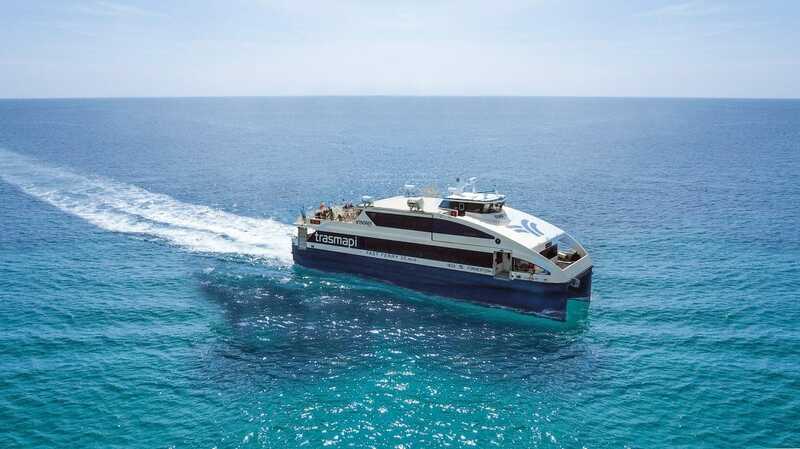 There are fast ferries departing each hour (and some more in the peak hours) that take around 30 minutes to get there. 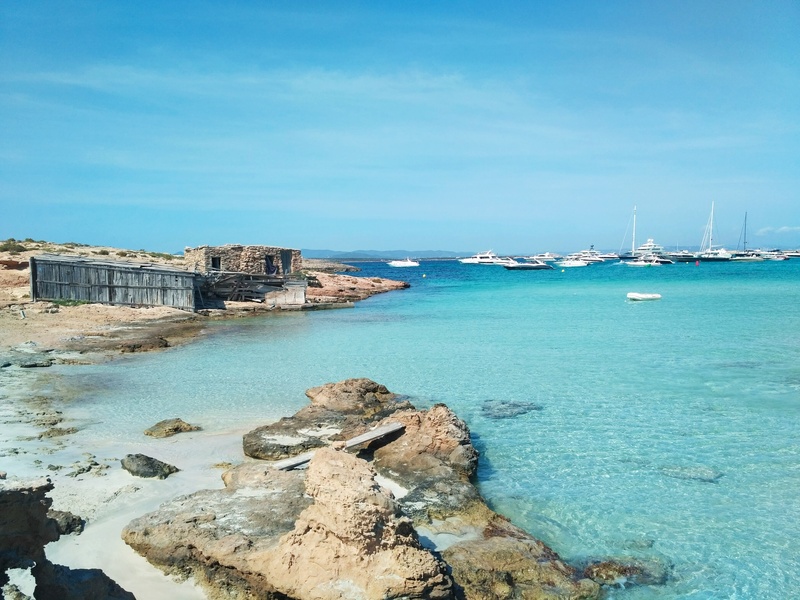 So, even if you don’t have a lot of time to visit, spending a day in Formentera is a great plan to discover one of the most beautiful destinations in the Mediterranean. Its 69 km of coasts offer spectacular beaches, numerous coves, cliffs, pine forests, and hidden spots to leave the crowd behind. 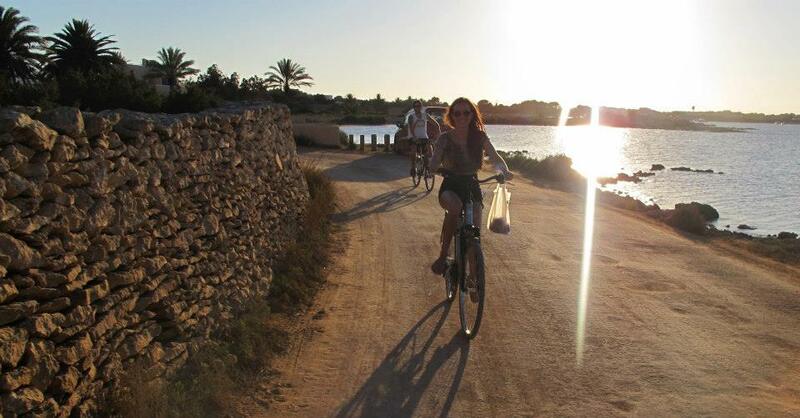 Most of the island can be covered by bicycle, which feels amazing and we strongly recommend it if you wish to enjoy the rural landscapes as you ride peacefully from one place to another. However, renting a car or motorbike is also a good option if you want to see it all and you don’t have much time. In any case, there are rental shops right next to the port. 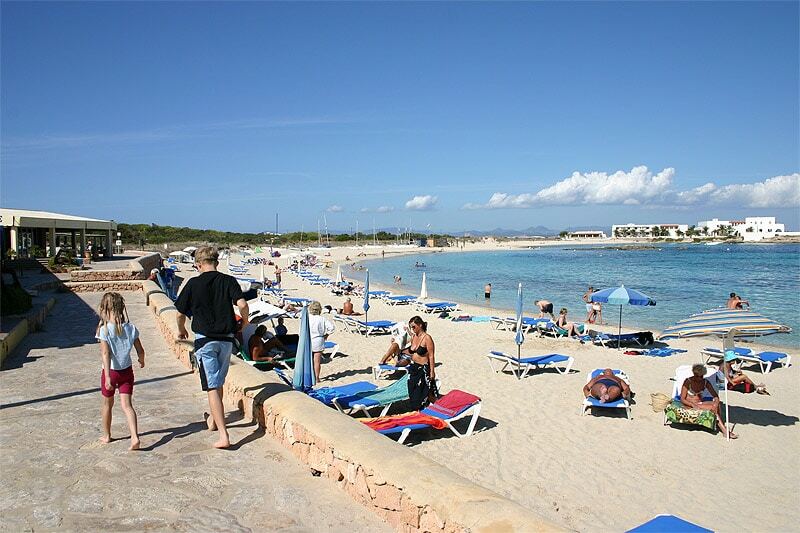 Formentera beaches have nothing to envy those in the Caribbean. But do you know why? 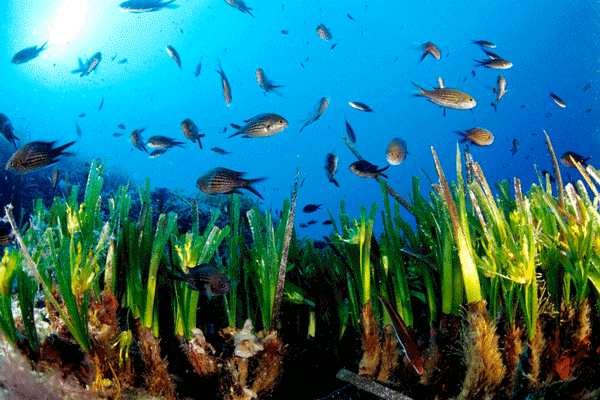 The purity of its transparent waters is due to the presence of the Posidonia Oceanica, an endemic seagrass that filters the waters, provides oxygen, and contributes to the biodiversity of plant and animal life. 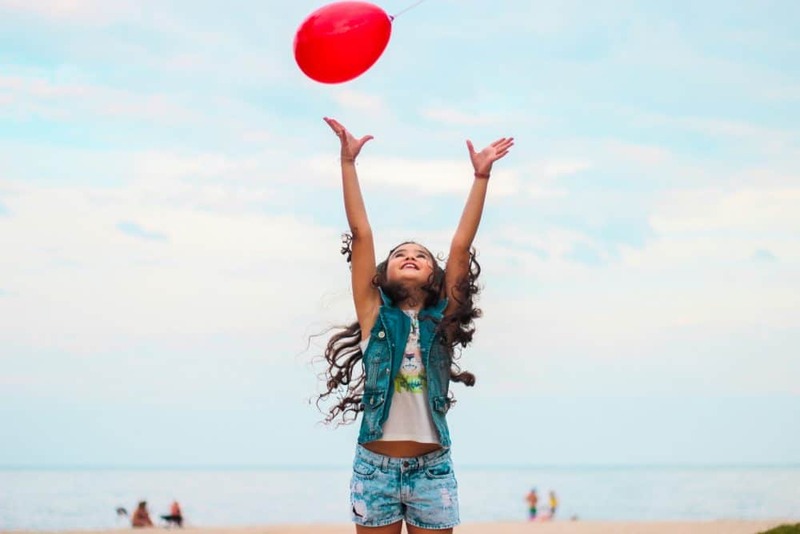 As it takes 100 years to grow 1 metre only and it is disappearing fast, the government and the residents are taking serious measures to protect it and we all should take care of it, avoiding dropping anchors over the Posidonia fields. 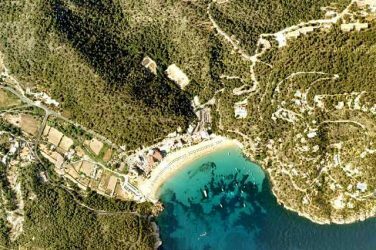 Located in the north side, only 4 km from the port of La Savina, this peninsula is the most famous beach on the island, and for obvious reasons. The almost fluorescent turquoise waters and the soft, white sand are truly breathtaking. If you walk until the end of the last authorised car park, you will find stretches of practically deserted beaches, even at the peak times. For those visiting by car or motorbikes, there is a parking fee of 4 € or 2 € respectively, whilst pedestrians, cyclists or those with electric vehicles can enter for free. 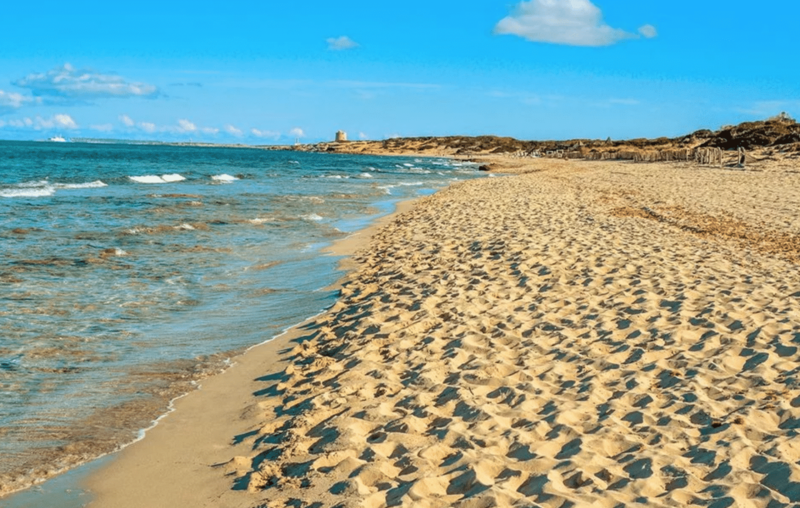 Situated in the south side of the island, this fantastic sandy beach covers around 5 km from the Es Mal Pas area to Es Copinar. It has different sections and the most popular are the ones with easy access for cars, like Es Ca Mari, Es Arenals or Es Copinar. 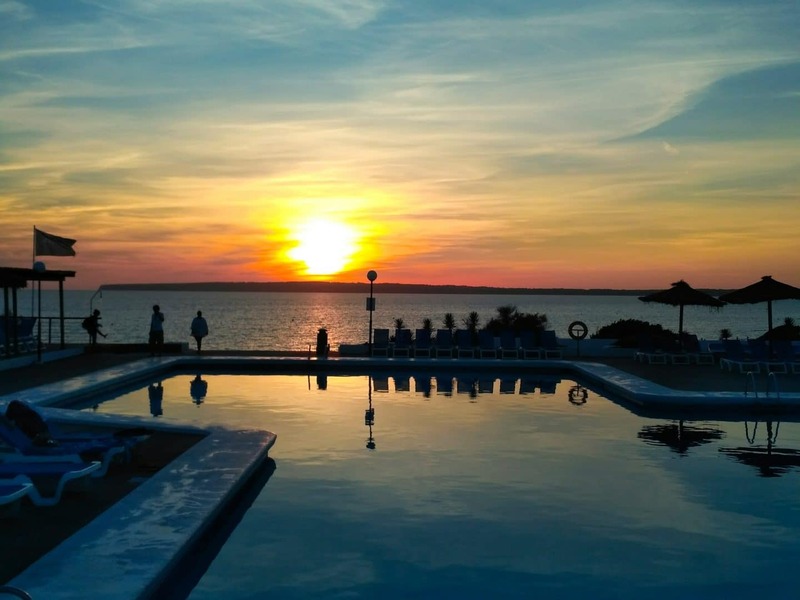 From luxury hotels to small residential houses, you can find many chiringuitos, beach clubs, restaurants, and sunset spots to enjoy the best time of the day. On the west coast and near the lighthouse of Cap de Barbaria (which we recommend you to visit) there is this small natural bay with beautiful views and shallow waters surrounded by cliffs, pine trees and huts for fishing boats. There is a restaurant on the right side of the beach, and another one at the entrance, both offering shady tables, fresh food and cocktails, and a relaxed bohemian ambiance. Es Pujols and Es Arenals have access ramps, a platform with shade, handrails, amphibious chairs and lifeguards. Arenals has also adapted bathrooms and reserved parking.